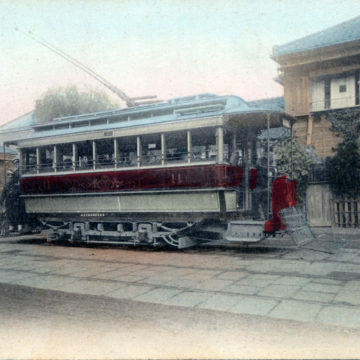 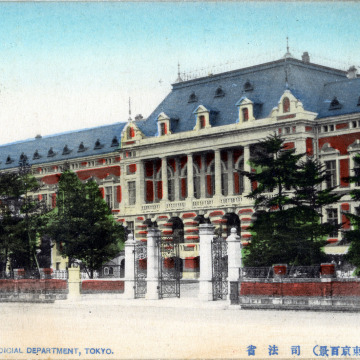 Tokyo Streetcars (Tokyo Toden), c. 1910-1920. 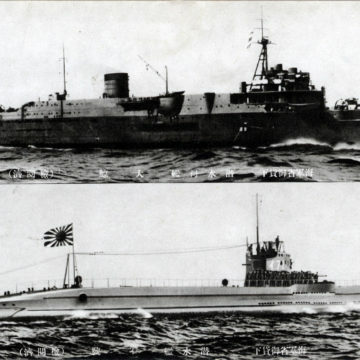 I-71 K6-class submarine & submarine depot ship “Taigei”, c. 1935. 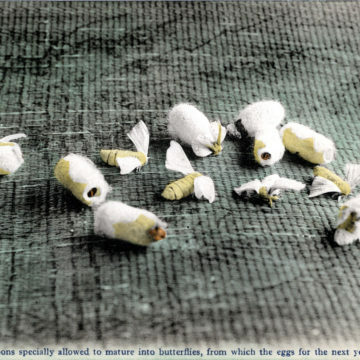 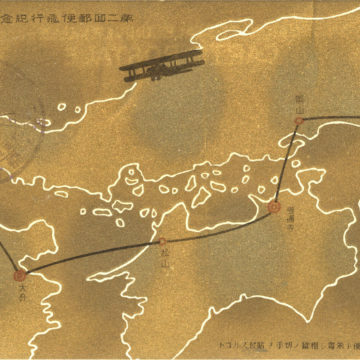 2nd Air Mail Flying Contest, Osaka-Kurume, 1920. 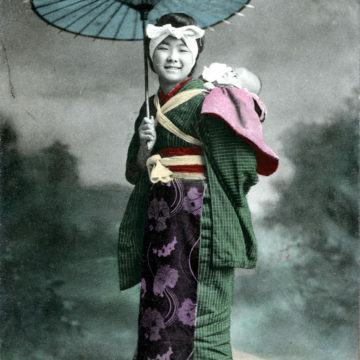 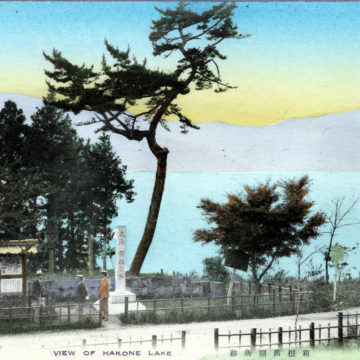 Onnanoko carrying child, c. 1910. 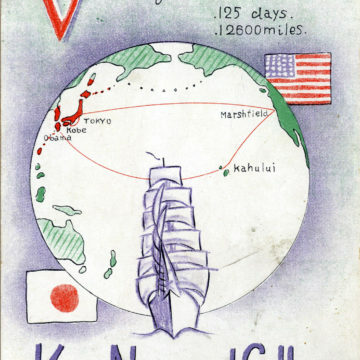 Kaishiki No. 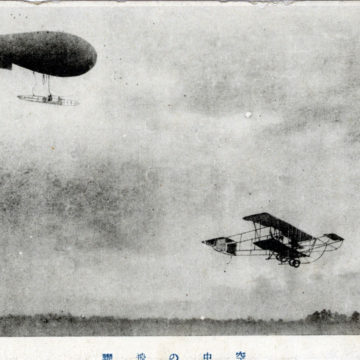 1 biplane & Yamada dirigible, c. 1911. 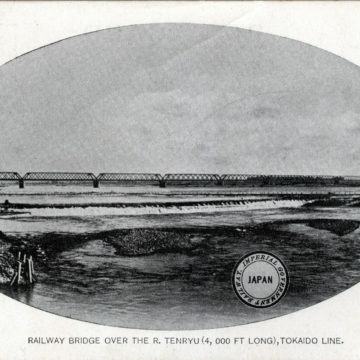 26th Voyage of the T.S. 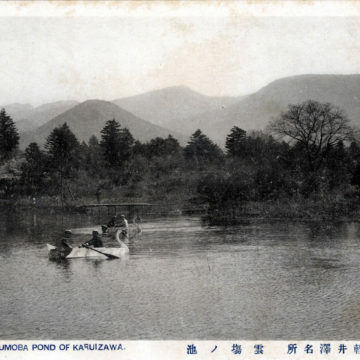 “Shintoku Maru”, c. 1935.